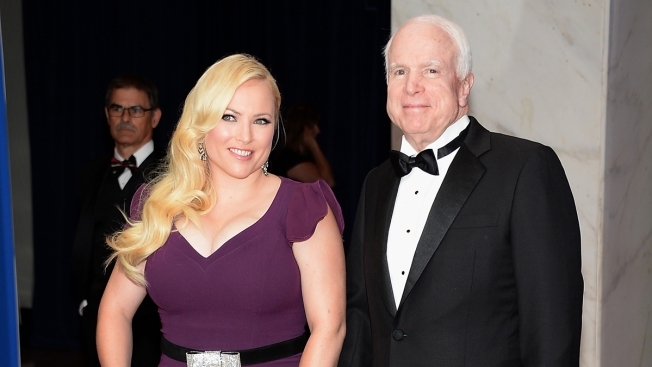 Meghan McCain, and Sen. John McCain attends the White House Correspondents' Association Dinner at the Washington Hilton Hotel, Saturday, May 3, 2014, in Washington. Sen. John McCain's daughter Meghan says it was incredibly hurtful to see President Trump talk about her father at a conservative conference last week, where the president talked about how McCain derailed last year's bill to repeal his predecessor's health care law. "The View' co-host Meghan McCain said Wednesday on that show that she had talked with Trump last year and was led to believe the attacks on her father would end. She says she was naive to believe that. Her mother, Cindy, was also on the show and says Americans need more compassion from their leaders and not bullying. She says she's tired of it. The Arizona senator and 2008 Republican presidential nominee is battling brain cancer.